What should I do when the Amazon SKU is not found in QuickBooks? 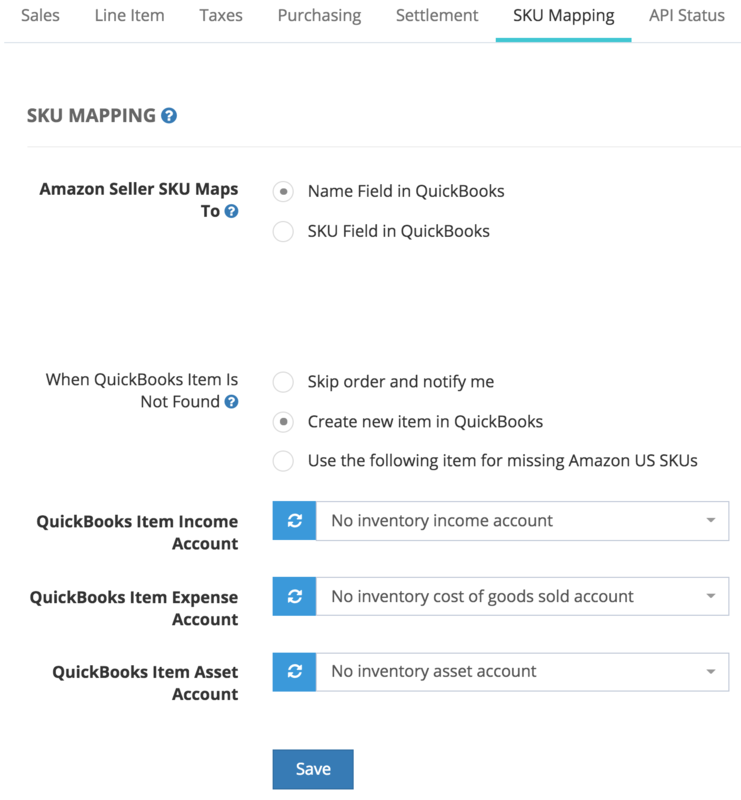 If we can't find the Amazon SKU in your QuickBooks inventory, then we can create it for you if you've chosen this option under the SKU mapping tab. Otherwise, we'll send you an email notifying you that we're unable to create the invoice in QuickBooks Online. To fix this error, you'll have to create the QuickBooks Inventory item in under Sales > Products and Services. Then retry import. If you don't track inventory or don't need to track inventory, you can use one (or more) Non-inventory items to track your Amazon SKUs. Click on "Use the following item for missing Marketplace SKUs" and enter the QuickBooks Inventory or Non-inventory Name. You can also use our Custom Mapping to map your Amazon Seller SKU to specific QuickBooks Inventory Item Names. 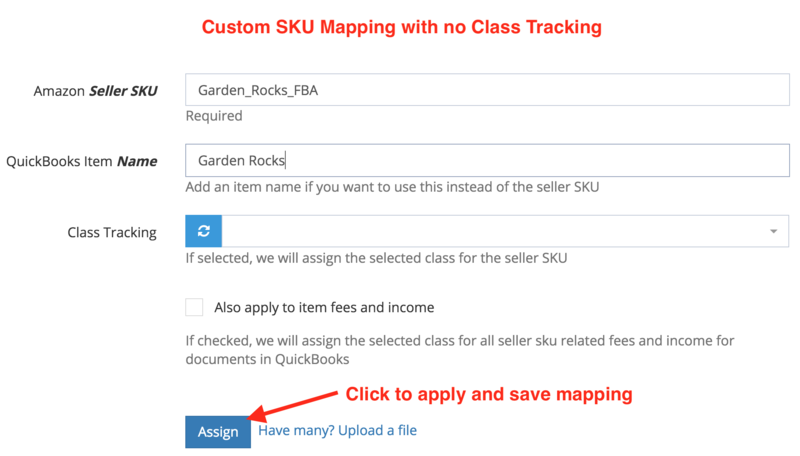 Click on the button below to learn more about SKU Mapping and Class Tracking.